Li Qin walking out of a Disney fairytale. Which princess would she be? First still of the young star-crossed lovers, a princess (Ren Min) and her eununch (Bian Cheng) in Held in the Lonely Castle. Here’s a round-up of Lantern Festival poster/stills released for upcoming (and one currently airing) dramas. Happy Lantern Festival! Upcoming series Heavenly Sword and Dragon Slaying Saber the ninth , the most morally grey and political of the Condor Trilogy, released an artsy set of new posters and some concept art in anticipation of its release sometimes soon. 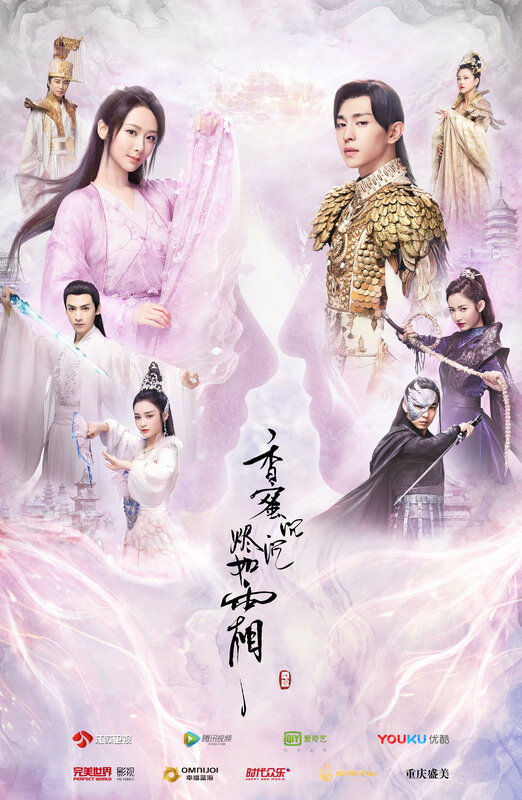 The series stars Zeng Shunxi, Chen Yuqi, and Zhu Xudan.